The Skin and Soft-Tissue Infections GUIDELINES Pocketc Guide is based on the latest guidelines of the Infectious Diseases Society of America (IDSA) and was developed with their collaboration. This practical quick-reference tool contains key points and graded treatment recommendations for most SSTIs, drug tables, and a management algorithm. Recently there has been a dramatic increase in the frequency and severity of skin and soft-tissue infections (SSTIs) accompanied by the emergence of resistance to many of the antimicrobial agents commonly used to treat skin and soft-tissue infections in the past. There was a 29% increase in the total hospital admissions for these infections between 2000 and 2004. 6.3 million physician’s office visits per year are attributable to SSTIs. Between 1993 and 2005, annual emergency department visits for SSTIs increased from 1.2 million to 3.4 million patients. Some of this increased frequency is related to the emergence of community associated methicillin-resistant S. aureus (MRSA). Clinical evaluation of patients with SSTI aims to establish the cause and severity of infection and must take into account pathogen-specific and local antibiotic resistance patterns. When developing an adequate differential diagnosis and an appropriate index of suspicion for specific etiological agents it is essential to obtain a careful history that includes information about the patient’s immune status, geographical locale, travel history, recent trauma or surgery, previous antimicrobial therapy, lifestyle, hobbies, and animal exposure or bites. Recognition of the physical examination findings and understanding the anatomical relationships of skin and soft tissue are crucial for establishing the correct diagnosis. When information from history and physical are insufficient, biopsy or aspiration of tissue may be necessary, and radiographic procedures may be critical to determine the level of infection and the presence of gas, abscess or a necrotizing process. Surgical exploration or debridement is an important diagnostic as well as therapeutic procedure in patients with necrotizing infections or myonecrosis. Gram stain and culture of the pus or exudates from skin lesions of impetigo and ecthyma are recommended to help identify whether Staphylococcus aureus and/or a β-hemolytic streptococcus is the cause (SR-M), but treatment without these studies is reasonable in typical cases (SR-M). Bullous and nonbullous impetigo can be treated with oral or topical antimicrobials, but oral therapy is recommended for patients with numerous lesions or in outbreaks affecting several people to help decrease transmission of infection. Treatment for ecthyma should be an oral antimicrobial. Treatment of bullous and nonbullous impetigo should be with either mupirocin or retapamulin bid for 5 days (SR-H). Oral therapy for ecthyma or impetigo should be a 7-day regimen with an agent active against S. aureus unless cultures yield streptococci alone (when oral penicillin is the recommended agent) (SR-H). Because S. aureus isolates from impetigo and ecthyma are usually methicillin-susceptible, dicloxacillin or cephalexin is recommended. When MRSA is suspected or confirmed, doxycycline, clindamycin, or sulfamethoxazole-trimethoprim (SMX-TMP) is recommended (SR-M). Gram stain and culture of pus from carbuncles and abscesses are recommended, but treatment without these studies is reasonable in typical cases (SR-M). Gram stain and culture of pus from inflamed epidermoid cysts are NOT recommended (SR-M). The decision to administer antibiotics directed against S. aureus as an adjunct to incision and drainage should be made based on the presence or absence of systemic inflammatory response syndrome (SIRS) such as temperature >38°C or <36°C, tachypnea >24 breaths/min, tachycardia >90 beats/min or white blood cell count (WBC) >12,000 or <400 cells/mm3 (See Fig. 1/Purulent/MODERATE) (SR-L). An antibiotic active against MRSA is recommended for patients with carbuncles or abscesses who have failed initial antibiotic treatment, have markedly impaired host defenses, or in patients with SIRS and hypotension (See Fig. 1/Purulent/SEVERE and Table 1) (SR-L). Tedizolid and dalbavancin are also effective treatments of SSTI including those caused by MRSA and were approved by the FDA after publication of the 2014 guideline. a search for local causes such as a pilonidal cyst, hidradenitis suppurativa or foreign material (SR-M). After obtaining cultures of recurrent abscess, treat with a 5- to 10-day course of an antibiotic active against the pathogen isolated (WR-L). Consider a 5-day decolonization regimen of intranasal mupirocin bid, daily chlorhexidine washes, and daily decontamination of personal items such as towels, sheets, and clothes for recurrent S. aureus infection (WR-L). Adult patients should be evaluated for neutrophil disorders if recurrent abscesses began in early childhood (SR-M). Cultures of blood or cutaneous aspirates, biopsies, or swabs are NOT routinely recommended (SR-M). Cultures of blood are recommended (SR-M), and cultures and microscopic examination of cutaneous aspirates, biopsies, or swabs should be considered in patients with malignancy on chemotherapy, neutropenia, severe cell-mediated immunodeficiency, immersion injuries, and animal bites (WR-M). Typical cases of cellulitis without systemic signs of infection should receive an antimicrobial agent that is active against streptococci (See Fig. 1/Nonpurulent/MILD) (SR-M). For cellulitis with systemic signs of infection (See Fig. 1/Nonpurulent/MODERATE) systemic antibiotics are indicated. Many clinicians could include coverage against methicillin-susceptible S. aureus (MSSA) (WR-L). For patients whose cellulitis is associated with penetrating trauma, evidence of MRSA infection elsewhere, nasal colonization with MRSA, injection drug use, or SIRS (See Fig. 1/Nonpurulent/SEVERE), vancomycin or another antimicrobial effective against both MRSA and streptococci is recommended (SR-M). In severely compromised patients as defined above (See Fig. 1/Nonpurulent/SEVERE) broad-spectrum antimicrobial coverage may be considered (WR-M). Vancomycin plus either piperacillin-tazobactam or imipenem/meropenem is recommended as a reasonable empiric regimen for severe infections (SR-M). The recommended duration of antimicrobial therapy is 5 days, but treatment should be extended if the infection has not improved within this time period (SR-H). Elevation of the affected area and treatment of predisposing factors, such as edema or underlying cutaneous disorders, are recommended (SR-M). In lower extremity cellulitis, clinicians should carefully examine the interdigital toe spaces because treating fissuring, scaling, or maceration may eradicate colonization with pathogens and reduce the incidence of recurrent infection (SR-M). Outpatient therapy is recommended for patients who do not have SIRS, altered mental status, or hemodynamic instability (See Fig. 1/Nonpurulent/MILD) (SR-M). Hospitalization is recommended if there is concern for a deeper or necrotizing infection, for patients with poor adherence to therapy, for infection in a severely immunocompromised patient or if outpatient treatment is failing (See Fig. 1/Nonpurulent/MODERATE or SEVERE) (SR-M). Systemic corticosteroids (eg, prednisone 40 mg daily for 7 days) could be considered in nondiabetic adult patients with cellulitis (WR-M). Identify and treat predisposing conditions such as edema, obesity, eczema, venous insufficiency, and toe web abnormalities (SR-M). These practices should be performed as part of routine patient care and certainly during the acute stage of cellulitis (SR-M). Administration of prophylactic antibiotics, such as oral penicillin or erythromycin bid for 4-52 weeks, or intramuscular benzathine penicillin every 2-4 weeks should be considered in patients who have 3-4 episodes of cellulitis per year despite attempts to treat or control predisposing factors (WR-M). This program should be continued so long as the predisposing factors persist (SR-M). Suture removal plus incision and drainage should be performed for surgical site infections (SR-L). Adjunctive systemic antimicrobial therapy is NOT routinely indicated but in conjunction with incision and drainage may be beneficial for surgical site infections associated with a significant systemic response (See Figure 2) such as erythema and induration extending >5 cm from the wound edge, temperature >38.5ºC, heart rate >110/min, or WBC count >12,000/mm3 (WR-L). A brief course of systemic antimicrobial therapy is indicated in patients with surgical site infections after clean operations on the trunk, head and neck, or extremities that also have systemic signs of infection (SR-L). A first-generation cephalosporin or an anti-staphylococcal penicillin for MSSA or vancomycin, linezolid, daptomycin, telavancin or ceftaroline where risk factors for MRSA are high (nasal colonization, prior MRSA infection, recent hospitalization, recent antibiotics) is recommended (SR-L). Agents active against Gram-negative bacteria and anaerobes, such as a cephalosporin or fluoroquinolone in combination with metronidazole, are recommended for infections after operations on the axilla, gastrointestinal (GI) tract, perineum or female genital tract (SR-L). Prompt surgical consultation is recommended for patients with aggressive infections associated with signs of systemic toxicity or suspicion of necrotizing fasciitis or gas gangrene (See Fig. 1/Nonpurulent/SEVERE) (SR-L). Empiric antibiotic treatment should be broad (eg, vancomycin or linezolid plus piperacillin-tazobactam or plus a carbapenem; or plus ceftriaxone and metronidazole), since the etiology can be polymicrobial (mixed aerobic-anaerobic microbes) or monomicrobial (Group A streptococcus, community-acquired MRSA [CA-MRSA]) (SR-L). Penicillin plus clindamycin is recommended for treatment of documented Group A streptococcal necrotizing fasciitis (SR-L). Magnetic resonance imaging (MRI) is the recommended imaging modality for establishing the diagnosis of pyomyositis. Computed tomography (CT) scan and ultrasound studies are also useful (SR-M). Cultures of blood and abscess material should be obtained (SR-M). Cefazolin or antistaphylococcal penicillin (eg, nafcillin or oxacillin) is recommended for treatment of pyomyositis caused by MSSA (SR-M). Early drainage of purulent material should be performed (SR-H). Repeat imaging studies should be performed in patients with persistent bacteremia to identify undrained foci of infection (SR-L). Antibiotics should be administered intravenously initially, but once the patient is clinically improved oral antibiotics are appropriate for patients in whom bacteremia cleared promptly and there is no evidence of endocarditis or metastatic abscess. Two to three weeks of therapy is recommended (SR-L). In the absence of a definitive etiologic diagnosis, broad-spectrum treatment with vancomycin plus either piperacillin/tazobactam, ampicillin/sulbactam or a carbapenem antimicrobial is recommended (SR-L). 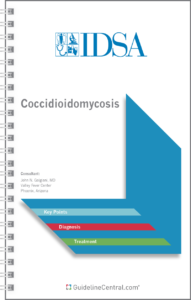 Definitive antimicrobial therapy with penicillin and clindamycin is recommended for treatment of clostridial myonecrosis (SR-L). Hyperbaric oxygen (HBO) therapy is NOT recommended because it has not been proven as a benefit to patients and may delay resuscitation and surgical debridement (SR-L). Have injuries that may have penetrated the periosteum or joint capsule (SR-L). Postexposure prophylaxis for rabies may be indicated. Consultation with local health officials is recommended to determine if vaccination should be initiated (SR-L). Primary wound closure is NOT recommended for wounds, with the exception of those to the face, which should be managed with copious irrigation, cautious debridement and preemptive antibiotics (SR-L). Other wounds may be approximated (WR-L). Oral penicillin V 500 mg qid for 7-10 days is the recommended treatment for naturally acquired cutaneous anthrax (SR-H). for 60 days is recommended for bioterrorism cases because of presumed aerosol exposure (SR-L). Patients >45 kg, 500 mg on day 1 followed by 250 mg for 4 additional days (SR-M). Patients <45 kg, 10 mg/kg on day 1 and 5 mg/kg for 4 more days (SR-M). Erythromycin 500 mg qid or doxycycline 100 mg bid for 2 weeks to 2 months is recommended for treatment of bacillary angiomatosis (SR-M). Penicillin 500 mg qid or amoxicillin 500 mg tid for 7-10 days is recommended for treatment of erysipeloid (SR-H). Ceftazidime, gentamicin, imipenem, doxycycline or ciprofloxacin is recommended based on in vitro susceptibility (SR-L). Bubonic plague should be diagnosed by Gram stain and culture of aspirated material from a suppurative lymph node (SR-M). Streptomycin 15 mg/kg IM q12h or doxycycline 100 mg bid PO is recommended for treatment of bubonic plague (SR-L). Gentamicin could be substituted for streptomycin (WR-L). Serologic tests are the preferred method of diagnosing tularemia (WR-L). Streptomycin 15 mg/kg q12h IM or gentamicin 1.5 mg/kg q8h IV is recommended for treatment of severe cases of tularemia (SR-L). Tetracycline 500 mg qid or doxycycline 100 mg bid PO is recommended for treatment of mild cases of tularemia (SR-L). Notify the microbiology laboratory if tularemia is suspected (SR-H). In addition to infection, differential diagnosis of skin lesions should include drug eruption, cutaneous infiltration with the underlying malignancy, chemotherapy- or radiation-induced reactions, Sweet’s syndrome, erythema multiforme, leukocytoclastic vasculitis and graft-versus-host disease among allogeneic transplant recipients (SR-H). Differential diagnosis for infection of skin lesions should include bacterial, fungal, viral and parasitic agents (SR-H). Biopsy or aspiration of the lesion to obtain material for histologic and microbiologic evaluation should always be implemented as an early diagnostic step (SR-H). Determine whether the current presentation of fever and neutropenia is the patient’s initial episode of fever and neutropenia or a persistent unexplained fever from their initial episode (after 4-7 days), or a subsequent episode of fever and neutropenia (recurrent) (SR-L). Aggressively determine the etiology of the SSTI by aspiration and/or biopsy of skin and soft tissue lesions and submit these for thorough cytologic/histologic assessments, microbial staining and cultures (SR-L). few comorbidities (SR-L) or with a MASCC of ≥21 (SR-M). Determine the extent of infection through a thorough physical examination, blood cultures, chest radiograph and additional imaging (including chest CT) as indicated by clinical signs and symptoms (SR-L). Hospitalization and empiric antibacterial therapy with vancomycin plus antipseudomonal antibiotics such as cefepime, a carbapenem (imipenem-cilastatin or meropenem or doripenem) or piperacillin-tazobactam are recommended (SR-H). Documented clinical and microbiologic SSTIs should be treated based on antimicrobial susceptibilities of isolated organisms (SR-H). The treatment duration for most bacterial SSTIs should be 7-14 days (SR-M). Surgical intervention is recommended for drainage of soft-tissue abscess after marrow recovery or for a progressive polymicrobial necrotizing fasciitis or myonecrosis (SR-L). Adjunct colony-stimulating factor therapy (G-CSF, GM-CSF) or granulocyte transfusions are NOT routinely recommended (WR-M). Acyclovir should be administered to patients suspected or confirmed to have cutaneous or disseminated herpes simplex (HSV) or varicella zoster virus (VZV) infection (SR-M). Yeasts and molds remain the primary cause of infection-associated fever and neutropenia. Therefore, empiric antifungal therapy (Table 5)should be added to the antibacterial regimen (SR-H). Candida spp. SSTIs should be treated with an echinocandin or, if C. parapsilosis has been isolated, lipid formulation amphotericin-B (SR-H) with fluconazole as an acceptable alternative (SR-M). Treatment should be for 2 weeks after clearance of blood stream infection or resolution of skin lesions (SR-M). Aspergillus SSTIs should be treated with voriconazole (SR-H) or, alternatively, lipid formulations of amphotericin B, posaconazole or echinocandin for 6-12 weeks (SR-L). Mucor/Rhizopus infections should be treated with lipid formulation amphotericin B (SR-M) or posaconazole (SR-L) (Table 5). The addition of an echinocandin could be considered based on synergy in murine models of mucormycosis and observational clinical data (WR-L). Fusarium spp. infections should be treated with high-dose IV voriconazole or posaconazole (SR-L). Begin treatment for antibiotic-resistant bacterial organisms (Table 6) in patients currently on antibiotics (SR-M). Intravenous acyclovir should be added to the patient’s antimicrobial regimen for suspected or confirmed cutaneous or disseminated HSV or VZV infections (SR-M). Blood cultures should be obtained, and skin lesions in this population of patients should be aggressively evaluated by culture aspiration, biopsy or surgical excision since they may be caused by resistant microbes, yeast or molds (SR-M). The sensitivity of a single serum fungal antigen test (1-3 β-D-glucan or galactomannan tests] is low particularly in patients receiving antifungal agents, and benefits from laboratory tests for fungal antigen or DNA detection remain inconsistent (SR-M). Polymerase chain reaction (PCR) in peripheral blood for HSV and VZV might be helpful in establishing a diagnosis of disseminated infection in patients with unexplained skin lesions (WR-M). Consider immediate consultation with a dermatologist familiar with cutaneous manifestations of infection in patients with cellular immune defects (eg, those with lymphoma, lymphocytic leukemia, recipients of organ transplants, or those receiving immunosuppressive drugs such as anti-tumor necrosis factors or certain monoclonal antibodies) (WR-L). Consider biopsy and surgical debridement early in the management of these patients (WR-L). Empiric antibiotics, antifungals and/or antivirals should be considered in life-threatening situations (WR-M). The use of specific agents should be decided with the input of the primary team, dermatology, infectious disease and other consulting teams (SR-M). Altabax® Apply to lesions bid Apply to lesions bid For patients with limited number of lesions. Bactroban® Apply to lesions tid Apply to lesions tid For patients with limited number of lesions. MSSA Nafcillin or oxacillin (generic) 1-2 g q4h IV 100-150 mg/kg/day in 4 divided doses Parental drug of choice. For penicillin-allergic patients except those with immediate hypersensitivity reactions. More convenient than nafcillin with less bone marrow suppression. Potential for cross-resistance and emergence of resistance in erythromycin-resistant strains. Oral agent of choice for methicillin-susceptible strains in adults. A primary option in pediatrics because of its availability as a suspension. (generic) 2-4 million units q4-6h IV 60-100,000 u/kg/dose q6h For patients with severe penicillin hypersensitivity, use clindamycin, vancomycin, linezolid, daptomycin, or telavancin. Cleocin®, (generic) 600-900 mg q8h IV 10-13 mg/kg/dose q8h IV Clindamycin resistance is <1% but may be increasing in Asia. a Tedizolid and dalbavancin (approved after publication of the 2014 guideline) are also effective treatments of SSTI including those caused by MRSA. Oritavancin (Orbactiv™) received approval by FDA for this indication prior to the IDSA’s approval of this guideline. It will be fully considered for inclusion by the panel the next time this guideline is updated. b Doses listed are not appropriate for neonates. For neonatal doses, refer to Pickering LK, ed. Red Book: Report of the Committee on Infectious Diseases. 26th ed. Elk Grove Village, IL: American Academy of Pediatrics; 2003. c Infection due to Staphylococcus and Streptococcus species. Duration of therapy is 7 days, depending on the clinical response. e For alternatives in children see: Pickering LK. Committee on Infectious Diseases, American Academy of Pediatrics. Antimicrobial agents and related therapy. 26th ed. Elk Grove Village, IL: American Academy of Pediatrics; 2003. 10-13 mg/kg/dose q8h IV Clindamycin or metronidazoleb with an aminoglycoside or fluoroquinolone. a Not to exceed the maximum adult dose. b If Staphylococcus present or suspected, add an appropriate agent. c If MRSA are present or suspected, add vancomycin. a May also need to cover for MRSA with vancomycin 15 mg/kg q12h. a The use of patient-specific pharmacokinetics is recommended to improve clinical outcome. 15-20 µg/mL in severe infections. Daptomycin 4-6 mg/kg/day Covers VRE. Strains nonsusceptible to vancomycin may be cross-resistant to daptomycin. Linezolid 600 mg q12h 100% oral bioavailability, so oral dose same as IV dose. Covers VRE and MRSA. Colistin 5 mg/kg load, then 2.5 mg/kg q12h Nephrotoxic. Does not cover Gram-positives or anaerobes, Proteus, Serratia, Burkholderia.